This oil infused creation helps dry, brittle hair by adding moisture and masking the appearance of split ends. It works wonders for moms styling ponytails, braids and curls. 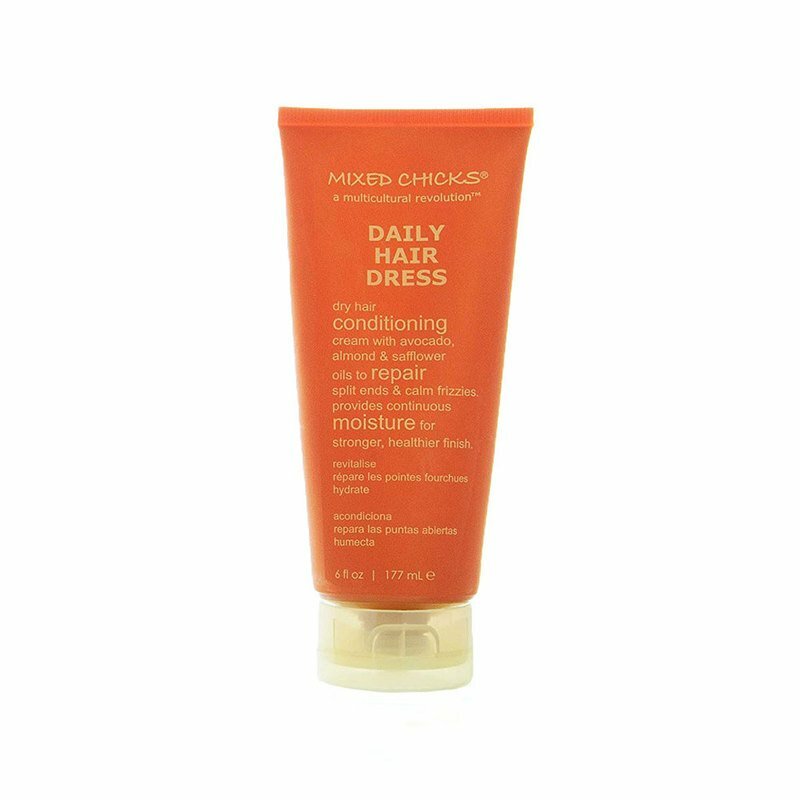 Use as a daily moisturizer for styled hair whether natural or relaxed. Apply to dry hair and style as usual. For ponytails or pulled back looks squeeze a small portion into palm of hand, apply to hair and brush or comb to smooth evenly.